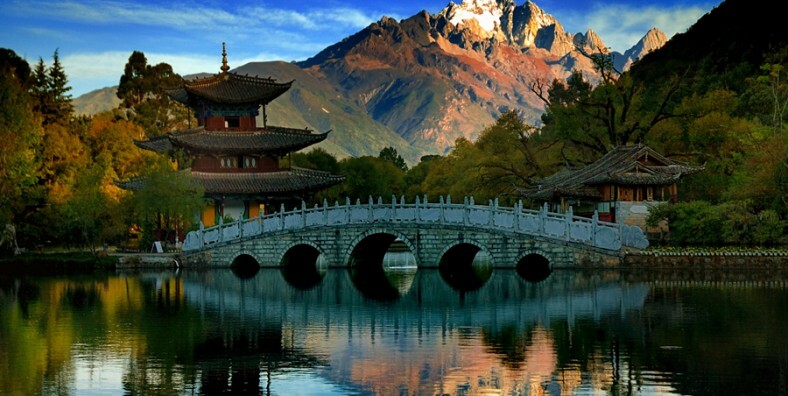 Kunming, Dali, Lijiang and Shangrila tour is the most welcomed tour in Yunnan. 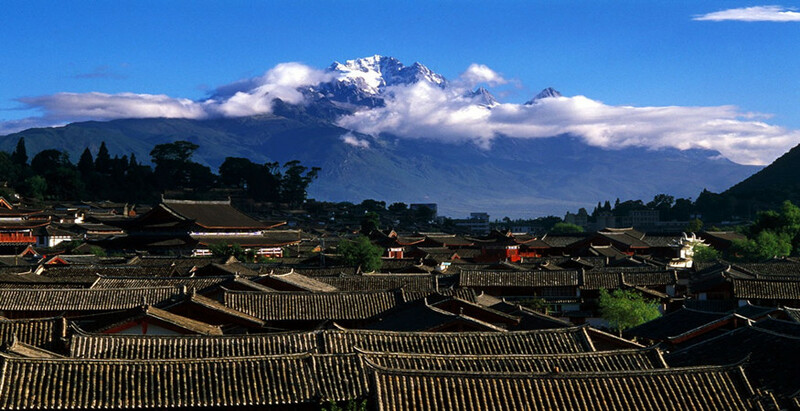 Discover Yunnan’s ethnic culture and its beautiful towns and scenery during this mazing 6 days’ tour! 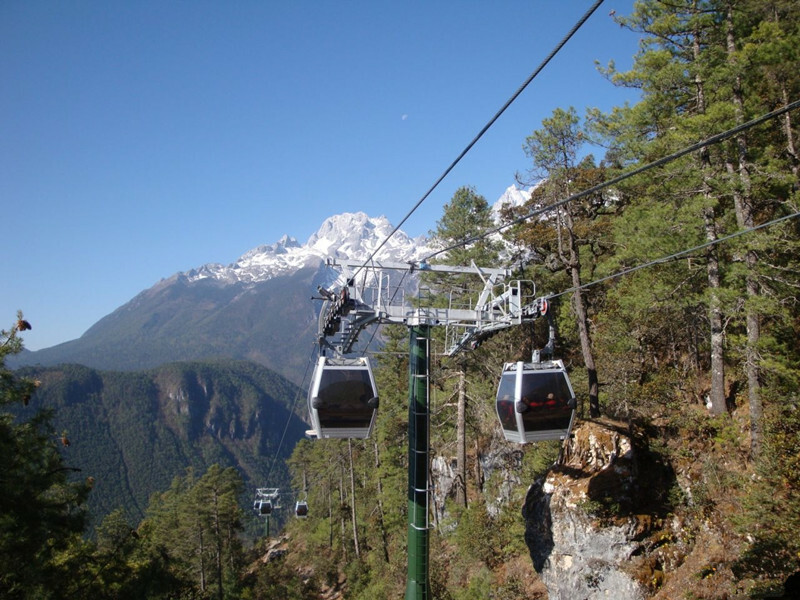 This tour includes the major attractions of Yunnan Province, such as Stone Forest, Erhai Lake, Tiger Leaping Gorge, Songzanlin Monasteryand some ethnic towns and villages. 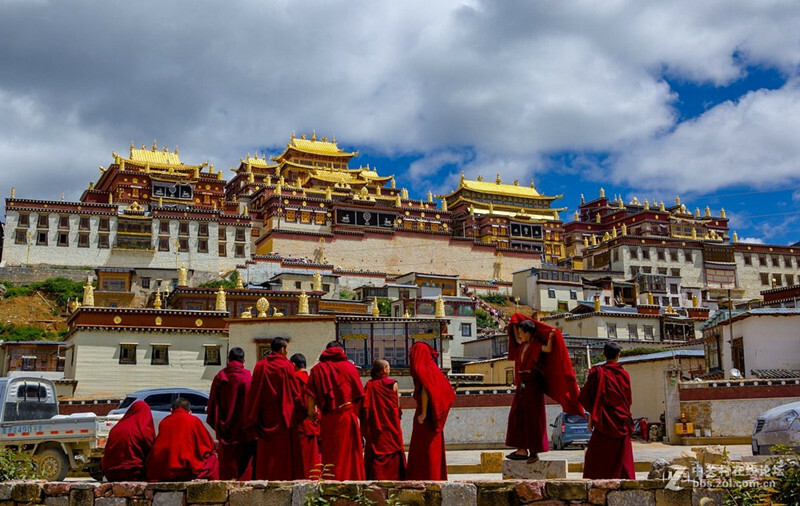 You can also experience the culture of Yis, Naxis, Bais, and Tibetan minorities. The tour is designed for everyone whoever is budget tourist or whoever wants to share a tour with others. 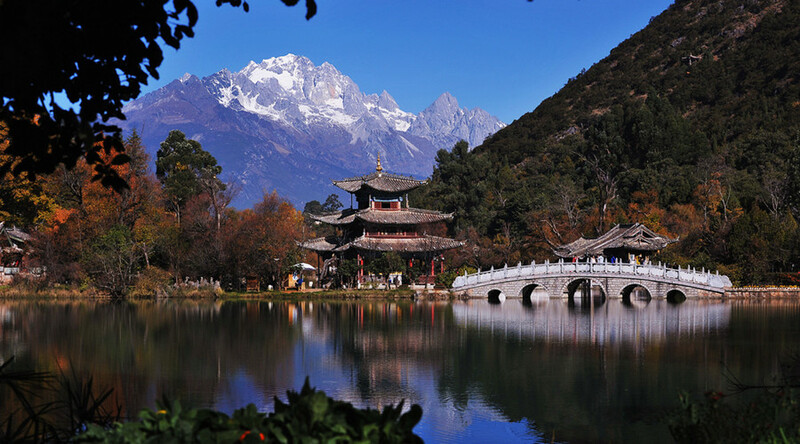 The best destinations of Yunnan: Kungming – Dali – Lijiang -Shangri-La. 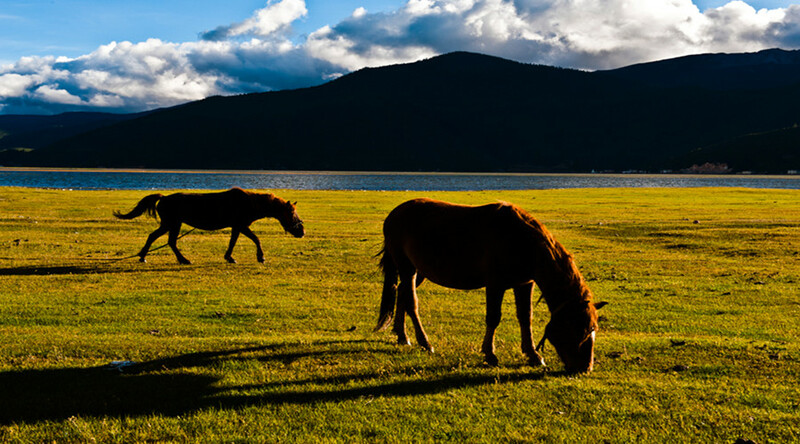 Explore the ethnic groups in Yunnan: Yi, Bai, Naxi, Tibetan, etc. Enjoy the real life of local people in the ancient towns and villages: Dali Old Town, Xizhou Old Town, Zhoucheng Village, Lijiang Old Town, Yuhu Village, Baisha Old Town, Shuhe Old Town, Dukezong Old Town, and Tibetan village. 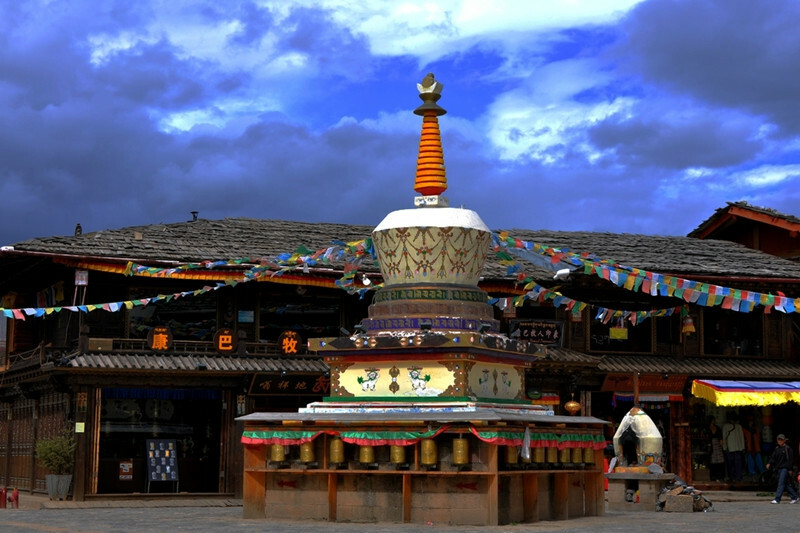 Visit a monastery and a temple in Yunnan: Songzanlin Monastery and Chongsheng Temple. Experience bullet train from Kunming to Dali. 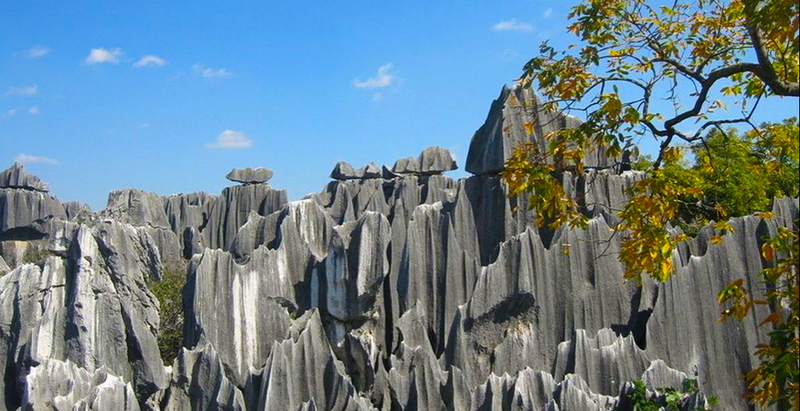 At 09:00 am, meet your tour guide & driver at Jinma Biji Archway（in Chinese: 金马碧鸡坊）and then drive about 85km to the Stone Forest. 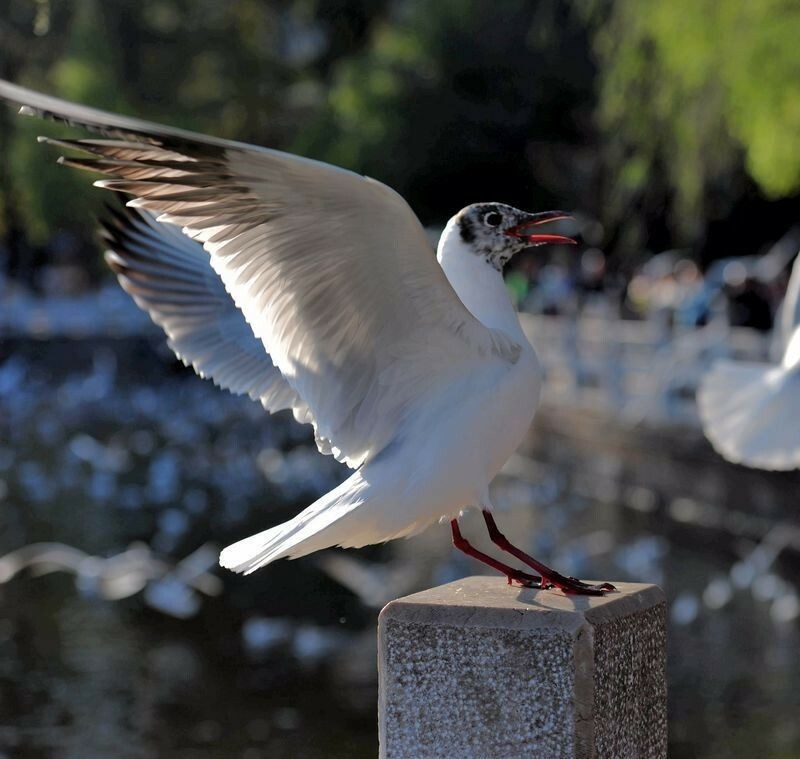 In the afternoon, drive back to Kunming and visit Birds and Flowers Market. Then stroll around the Green Lake. In the evening, take a bullet train to Dali. Meet your local guide and driver, then transfer to hotel for overnight. 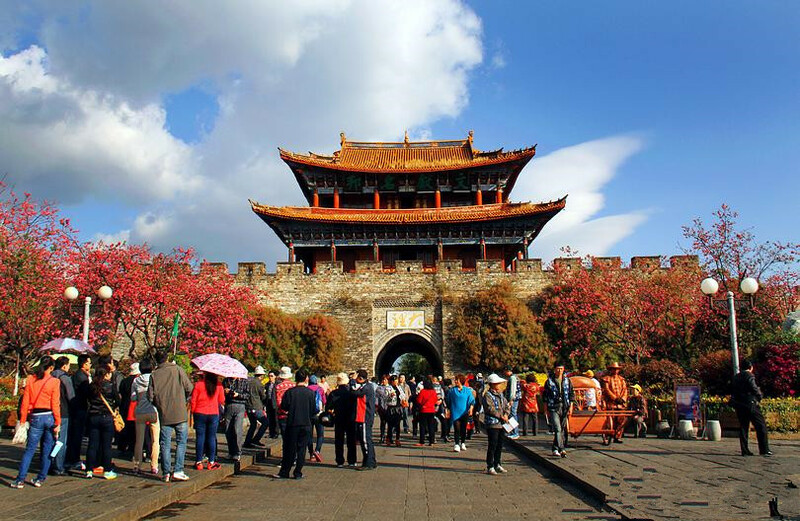 In the morning, explore Dali Old Town including the Foreigner Street, the Ancient City Wall of Dali and The Gate Tower. Then drive to visit Three Pagodas in Chongsheng Monastery. In the afternoon, transfer to Xizhou Old Town. Walk around this old town to see Bai ethnic traditional archetecture. Taste local three-course tea in Xizhou. 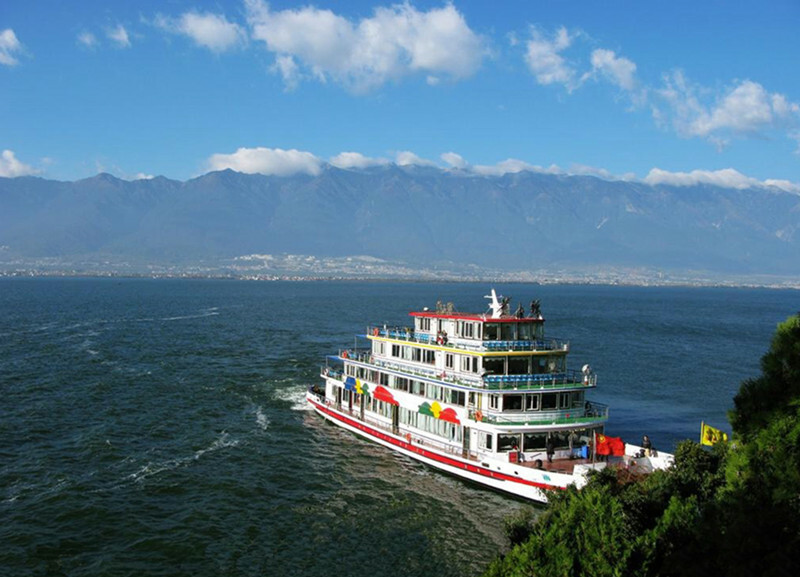 Afterwards, drive to Haishe Park to enjoy the beautiful scenery of the Erhai Lake. After that, drive to Zhoucheng Village. Pay a visit to local Tie-Dyeing workshop. Transfer back to hotel. In the morning, drive 3 hours to Lijiang. Upon arrival, visit Black Dragon Pool and Dongba Culture Musuem. Then enjoy your free time in Lijiang Old Town. At 5:00 pm, meet your guide again at Big Waterwheel spot(大水车) in Lijiang Old Town and transfer to hotel in Baisha Old Town. In the morning at 09:00 am, visit Baisha Old Town and Baisha Murals. Afterwards, drive to visit Yuhu Village and Former Residence of Joseph Rock. In the afternoon, transfer to visit Shuhe Old Town. In the morning, drive to Qiaotou Town. 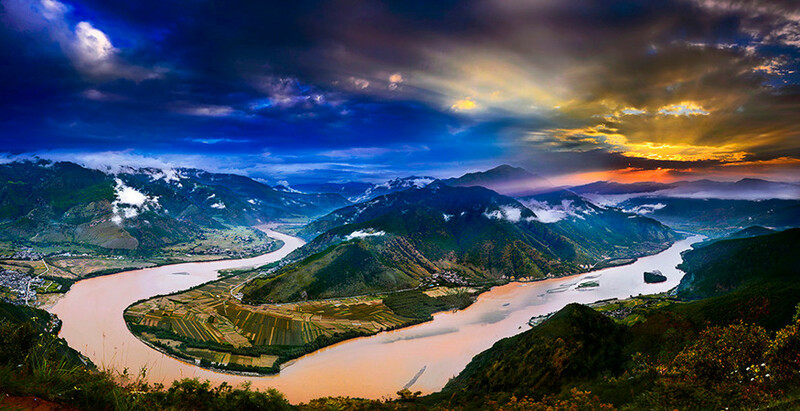 On the way, have a view of the First Bend of Yangtze River from afar and drive to Upper Tiger Leaping Gorge and stop for 5 minutes for photograph. 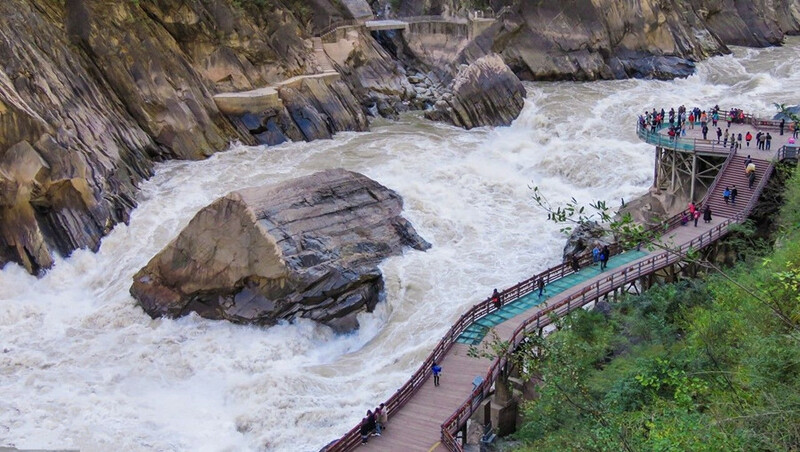 Then go on driving to Middle Tiger Leaping Gorge for hiking (about 3 hours). Hike from a place named “14km” to Tina’s Guesthouse. In the afternoon at 3:30 pm, drive to Shangri-la. 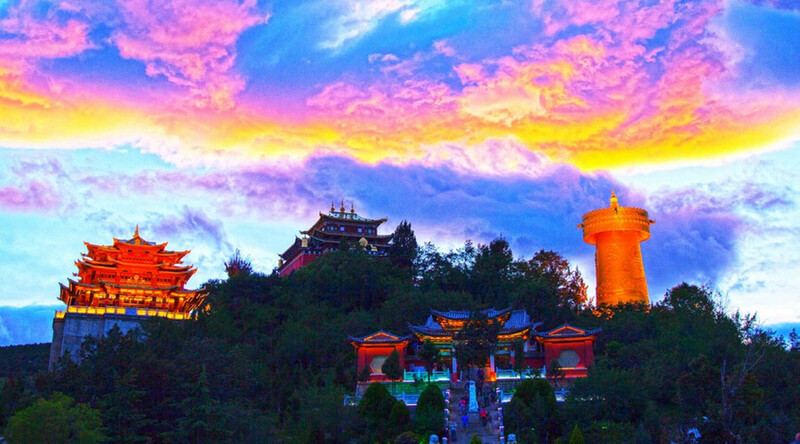 Upon arrival, stroll around Dukezong Ancient Town and walk up to the top of Guishan Hill to see the Grand Prayer Wheel and have a panoramic view of Shangri-La city. Transfer to the hotel. Pick you up at the hotel. Then drive to visit Songzanlin Monastery and then pay a visit to a local Tibetan village and family around the monastery. In the afternoon, transfer to visit Napahai Lake. In the late afternoon, drive back to Shangri-La downtown and drop you off to Moonshine Square(in Chinese: 月光广场). Tour ends. Please note: Small deviations in the tour program are sometimes necessary, depending on weather, road conditions, flight schedules and room availability. Two bottles of water each day each person. Tips (USD 5-10/day/person to guide; USD 5-10/day/person to driver). For the price will be different in different seasons. Please contact us for more details.